Marian Goodman gallery is pleased to announce a solo exhibition by Matt Saunders, his first in the New York gallery, which will be on view in our Third Floor Gallery. The exhibition runs Tuesday, May 5th through Saturday, May 30th. The reception for the artist will be held on Thursday, May 14th. 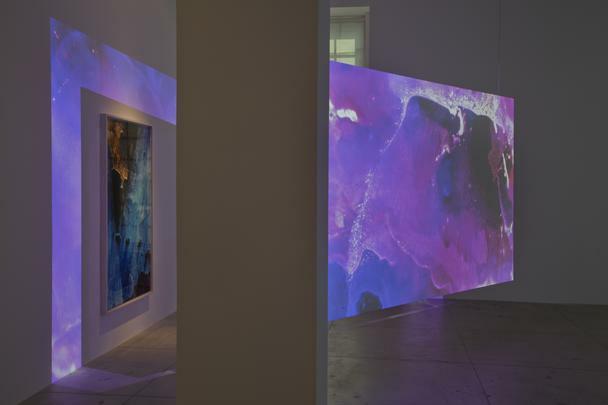 Saunders works at the generative intersection between painting and the moving image, staging encounters between media and weaving together filmic and historical sources in a multi-layered studio practice of delicate materiality. Saunders will present a new multi-channel video work, Poelzig/The Intricate Alps. This color, hand-drawn animation combines passages of lush abstraction with bursts of narrative fragment. 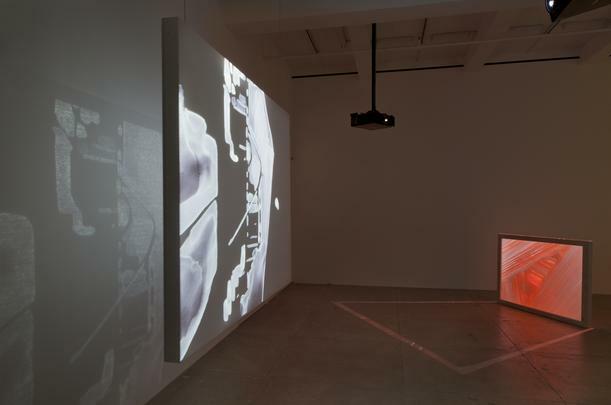 Composed of drawings on paper and various plastics with a variety of materials -- ink, oil, casein, graphite and toner powder -- it insists on a dense, analogue materiality, transposed to a digital reel. 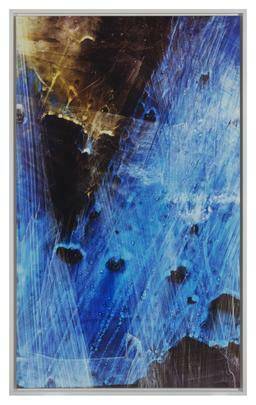 Drawing both directly and indirectly through blotting, he strikes a balance between concrete abstraction and slippery figuration, between singularity and doubling. 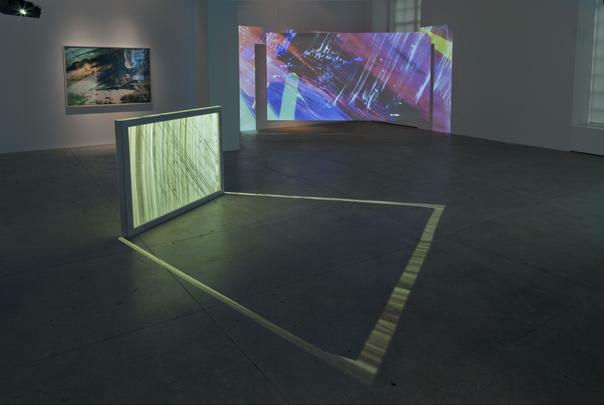 Saunders’ installation proposes a spatial, durational vision of painting. 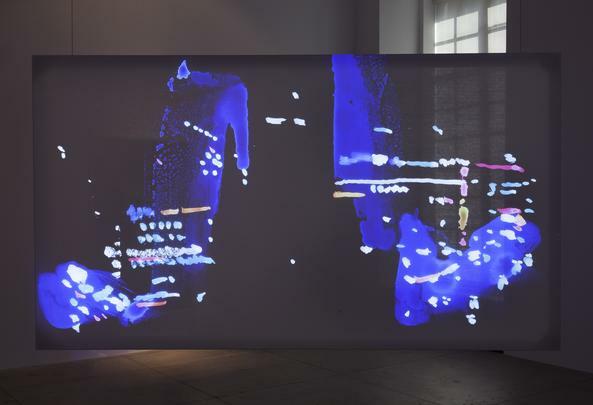 The drawn images thrown by projection intersect screens of various materials, sometimes misaligning and sometimes passing through the thin fabric to make ghostly doubles on further surfaces. 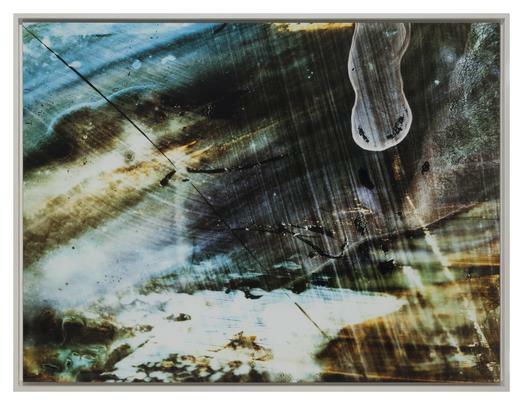 This has a kinship with Saunders’ photographic works, largely made by throwing light through the fabric of “negatives” painted with oil on linen, thus capturing and fixing a momentary contact between the two media. 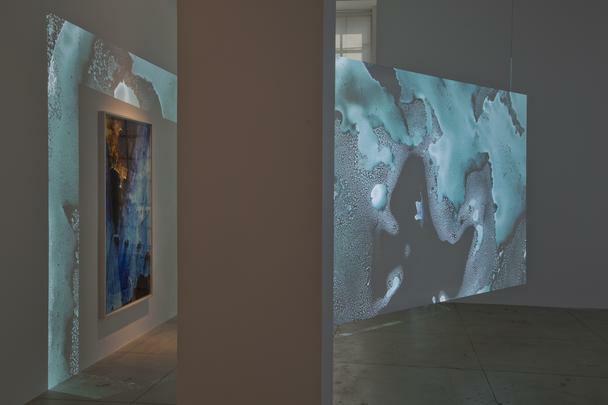 A new group of these photographs occupy the small gallery adjacent to the projection. Embodied in the title of the work is Saunders’ encounter with drawings by the architect, Hans Poelzig. The foremost designer of Weimar-era movie theaters, Poelzig also made architecture in film, most famously designs for the sets and furniture of The Golem (1920). Saunders engages the working sketches for that project in various guises, especially as models for passages of animation. Remarkably fluid and animated in their own right, these drawings by a figure who worked on both sides of the screen summon an idea of productive hybridity, not just an organic, expressive architecture, but a medium able to step out and live within another. Saunders was born in 1975 in Tacoma, Washington and lives and works in both Cambridge, Massachusetts, USA and Berlin Germany. He was educated at Yale and Harvard and was the recipient of the Prix Jean-François Prat award in 2013 and the Louis Comfort Tiffany Foundation award in 2009. 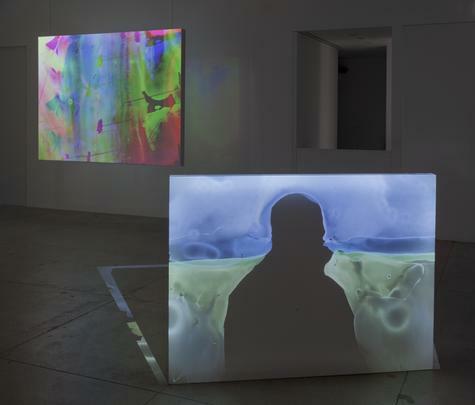 Solo exhibitions include Matt Saunders: Century Rolls at the Tate Liverpool in 2012; The Movies That Were Secret Remain Secret Somehow and a Nation Forgets Its Pleasures at the Carpenter Center for the Visual Arts, Harvard University in 2012 and Parallel Plot at the Renaissance Society at the University of Chicago in 2010 for which a catalogue was published. 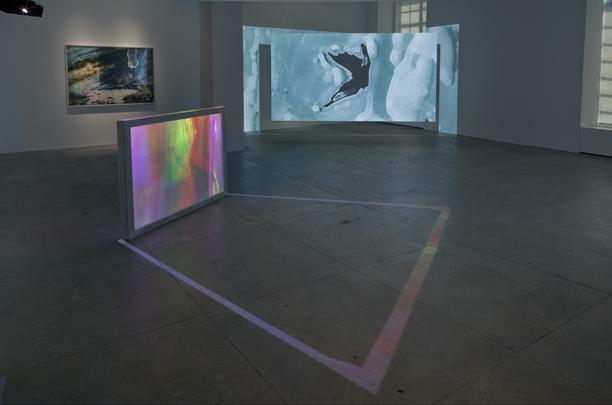 Recent group exhibitions include Images that Speak at the Presentation House Gallery, Vancouver in 2015; Cinema and Painting at the Adam Art Gallery, Wellington, New Zealand in 2014; Test Pattern at the Whitney Museum of American Art, New York in 2013; Plot for a Biennial, Sharjah Biennial in 2011 and The Anxiety of Photography at the Aspen Art Museum, Colorado in 2011. Please join us at the opening reception on Thursday, May 14th from 6-8 pm.